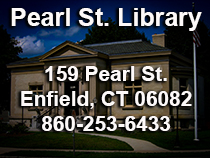 The Enfield Public Library has two Community Rooms, one at the Central Library and one at the Pearl St. Branch, that are available for public use. The Community Rooms are available for non-profit use at no cost. 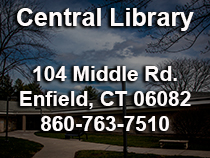 Additionally, there are many tables that library patrons can use to meet informally at both locations. The Central Library's Community Room has a maximum capacity of 134. For more information call 860-763-7555. The Pearl St. Community Room has a maximum capacity of 50. For more information call 860-253-6433.